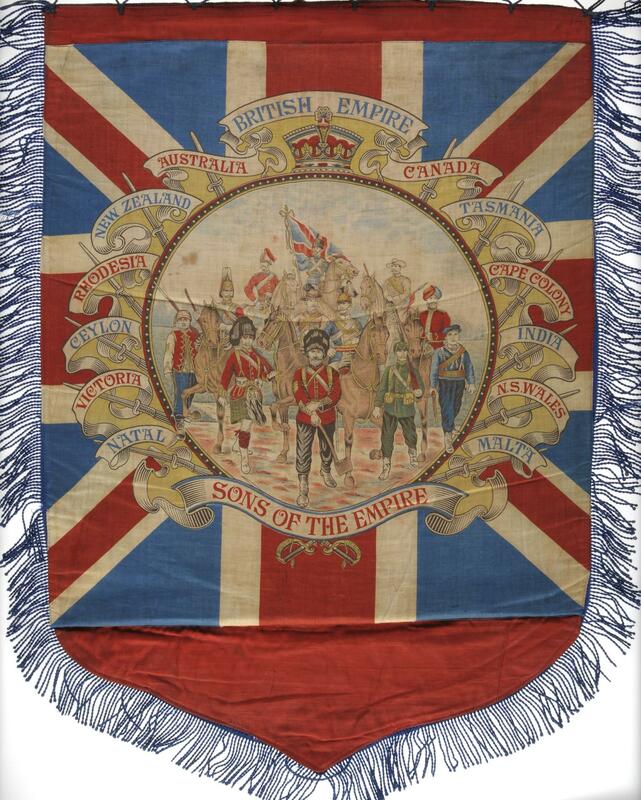 Ulster Unionist Convention 1892 Bannerette depicting "Sons of Empire" and names of the colonies of the British Empire. On obverse in stencilled white letters 'Ulster Unionist Convention 1892.' By the 1890s, Britain, through its Empire, had become the world’s superpower. Identification with Britain’s military prowess enabled Unionists to feel more confident in the face of growing Irish Nationalism.